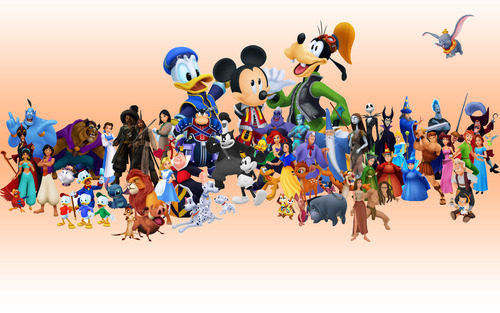 What Disney Animated Classic would make the best game? I had two options today: I could write something thoughtful, profound and provocative, or I could write about Disney movies. It wasn’t a difficult decision. As I’ve mentioned in the past, I’m a gamer who’s happy to wait for new games and consoles; very rarely will I pick up a game the moment it is released into the world. The last game that I felt compelled to grab early was GTA V. The next game will most likely be Kingdom Hearts 3. This is due in part to my love for the Classic Disney movies and characters that I grew up watching. I take great delight in fighting alongside the characters I’ve known since childhood. My only concern is that those characters never really get the chance to lead their own games. If I had three wishes, one wish would be to see more Disney stories turned into games. Whilst I greatly appreciate games that include Disney characters, I’ve always felt that the Animated Classics hold a great deal of untapped potential. I fondly remember platform-style games based on Lion King and Aladdin. Sometimes Disney princesses get a simple, interactive story book of a game that hardly does them justice. I can’t help contemplating what would happen if Classic Disney movies were given the chance to become fully-fledged games amongst the modern competition. How would Snow White and the Seven Dwarfs translate into a video game? What game genre best suits Beauty and the Beast? Which movie would make the greatest gaming experience? I believe there’s a whole new world of potential in good old Disney stories. Below is what I think some of those games might look like. If the Cinderella game appointed Cinders as the main playable character, the results might be less than entertaining. The gameplay would consist of completing all the worst chores in the castle, with the occasional berating from her evil stepmother and step-siblings. But then, the movie was neverjust about Cinderella was it? In my mind, this game would centre on the real heroes of the story: the mice. The game itself would play as a top-down view of the castle, allowing you to see into each of the rooms in the style of ‘FTL: Faster Than Light’ or ‘Dungeon Keeper’ (no not that Dungeon Keeper, just the good ones). 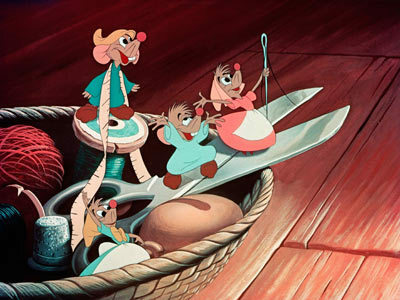 From your over-seeing perspective you control the actions of Cinderella’s miniature friends. The main objective of the game: to keep dear Cinders happy. As the step-sisters attempt to demoralise Cinderella with trash-talk and tasks that occupy her time, you move the mice around the castle to help take care of those demands. Feed the chickens, clean the floors, and mend dresses. The better you do: the higher Cinderella’s spirits. You can also use the mice strategically. You might set-up traps or diversions that distract her step family. The further you’re able to keep them away from Cinderella the better. Keep them squabbling amongst themselves. You could also search the dark recesses of the castle for forgotten trinkets and collectibles to give to Cinderella as gifts. Of course, there are risks to watch out for. The mean-old house cat will swipe and any of the mice that he comes across. Ultimately, if you’re able to keep Cinderella happily whistling while she works, the end game will eventually begin. Once the prince’s Ball has been announced, you and the mice will have a limited time to resource and piece together a worthy gown. Now, you will know full well that this endeavour will fail – the dress will be torn asunder by her jealous siblings – but that’s not the point. 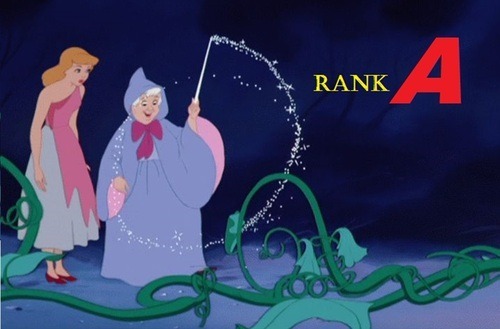 The real aim is to do your best for Cinderella. This is where the video game can build on the finale of the movie. The transformations that the Fairy Godmother performs are the same each time in the movie (it would be weird if they weren’t) but in the game they could alter depending your performance in the game. The better the original dress, the more impressive the transformed version becomes. The more each mouse achieved during your play through, the more astounding they become as men and horses. Your success is presented in how spectacular Cinderella’s entourage appears. Her success at the Ball depends on your kindness. Given the recent trend of games which include audacious parkour as a central gameplay feature, I don’t think it’s too ridiculous to imagine Quasimodo joining the group. When you also add the Bell Ringers desire to stay hidden, you have the basis of quality stealth gaming. Borrowing a little from the repertoire of Assassin’s Creed perhaps, but with evasion and sneaking as an absolute must. Remember when Assassin’s Creed was a stealth game…? Quasimodo would stay close to his tower for the opening act/tutorial missions of the game. Then, as his confidence grows, he would stray further from his home, but always aware that he must be back at the tower for when his master visits. This would be the main way in which the game expands on the movie; exploration of old Paris would be a central part of the game. When you explore the city, you might dare to approach the local citizens. As the player, you would have to find the balance between staying hidden and trying to subtly interact with life around you. You might see a robbery and try to catch the thief, or defend a young street urchin from bullies, or simply collect souvenirs for your home in the bell tower, all the while masking your identity from the public by staying one jump ahead. Between explorations, the main story would move forward. The Feast of Fools and then helping Esmeralda to escape would both make exciting moments in the game. The only alteration that should be made is the ease in which Quasimodo learns the location of the Court of Miracles. Instead, Esmeralda’s clues in the game could be more cryptic, leading to more exploration of the city to find clues. 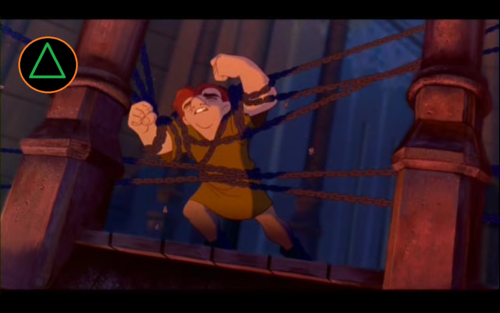 Furthermore, The Hunchback of Notre Dame finale would make an awesome end game sequence. I’m pretty certain I could simply state that ‘Mulan would make a great fighting game’ and leave it at that, doing whatever the blogger equivalent of ‘dropping the mic’ might be. 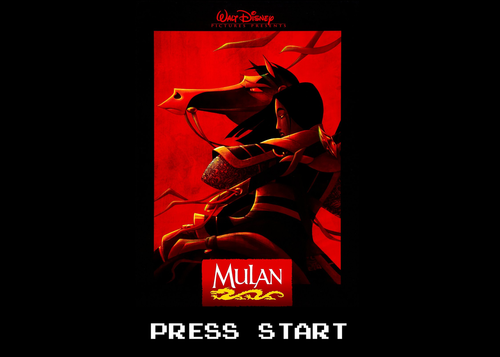 Mulan would make for a superb game protagonist. There are excellent characters and some awesome action sequences. Even the training sequences would make fun levels, or be used as enjoyable, extended tutorial segments. There would need to be more battles – there are two set-pieces in the movie – but then the Disney version is based on the historic ‘legend’ that (don’t worry, you’ve not been tricked into a History lesson) fought for 12 years. It would be reasonable for the game creators to add extra skirmishes before the two ‘main battles’ of the story. This would actually assist the story in a way; we’d get to see a clearer progression from zero to hero. 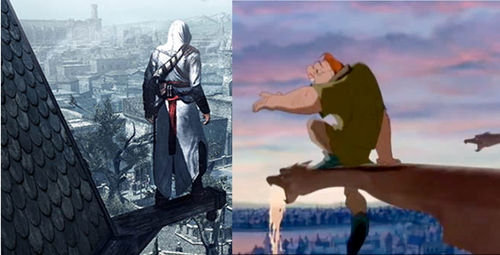 These are just three examples of Disney games that I feel would make truly great games if given the chance. There are other examples I could give – Snow White as a survival game, Beauty and the Beast as a Tower Defence, Black Cauldron as an RPG – but I won’t belabour the point. Plus you might have ideas of your own you wish to contribute. I’ve also barely touched the surface when it comes to discussing all the reasons why Disney Classes would make great games. The soundtracks for one thing, would be a big selling point; I defy you to find better battle music than “I’ll make a man out of you”. Do any of these ideas have potential? Can you think of alternative ways these games would play out? What other Disney Classics could translate into video games? Is there any way we can get Kingdom Hearts 3 released faster? I wonder. If you enjoyed reading my nonsense, you might like to follow me Twitter to receive updates/warnings about my posts. If you didn’t enjoy reading…well, you did very well to get all the way to the end… well done you!